As the wine breathes, it opens up and releases its aromas. 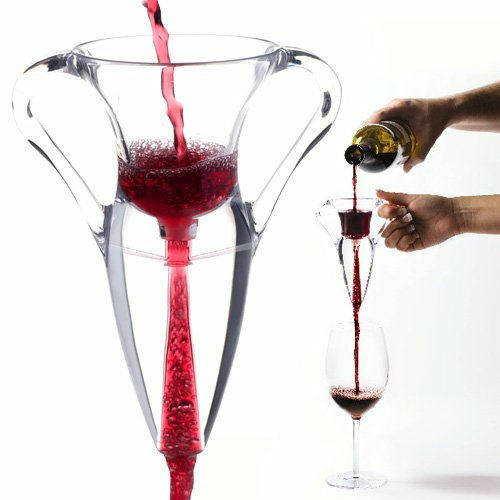 The wine aerator mixes air into the wine increasing exposure to oxygen and causing aeration. It improves the bouquet and flavour. Just hold the aerator above the wine glass or a decanter and pour right into the aerator. Dimensions: 28 x 15 x 9 cm.